The Island, where you know something about the smallest leaf, turns into a completely new place full of mysteries and secrets. Find out why the tribe left the old village, discover how the Sanctuary looked like and learn how the ship appeared right in the Heart of the Island! 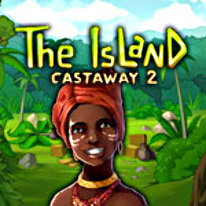 In The Island: Castaway 2, you play as a teenage islander Yati. Become one of the tribesmen and learn all of the tribe’s secrets, now it’s up to you to make important decisions, overcome obstacles and carry the day! The Island: Castaway 2 features original characters, intriguing storyline to follow and lots of activities like hunting, fishing, farming, handicraft, trade, and even sorcery. The Island awaits!